Considering travel time and time spent waiting at the doctor's office. HIMSS 2019 is where 43,000 health IT enthusiasts engage. Per their own by-the-numbers charts, you see a picture of the scale of it -- more than 40,000 attendees wanted to be in Orlando, braving weather-related travel obstacles, obtain any required continuing education units – and ideally see as much as possible of the 1300 vendor exhibits. Remembering that adults 65+ are major consumers of healthcare. 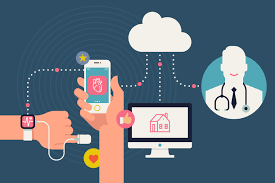 Here are five of these offerings from 2019 HIMSS, viewed with the lens of caregiving and older adults. 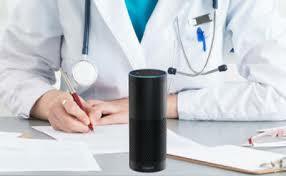 Voice First is changing health and wellness offerings today. Already the predicted capability to speak a request or instruction without having to type or tap on a device – known as Voice First – has transformed how we interact with technology. If we can speak a command to play music, control the lights, or open the shades benefits accrue to the elderly who live alone. This technology can help those who are blind or have macular degeneration, and it can help those with disabilities. AARP and Optum have initiated pilots to determine if this technology can help mitigate social isolation and improve health outcomes for the elderly. And note experiments and pilots for applying Voice First technologies for health and wellness. So what’s intriguing? WASHINGTON, DC — AARP announced its collaboration with three healthcare startups in its “champion” role in PULSE@MassChallenge, a digital health accelerator. As part of its participation, AARP is working with three Massachusetts-based companies focused on advancing healthcare and improving patient well-being: Folia Health, Inc., Orbita, Inc., Pillo Health. InTouchLink is pleased to announce the launch of its newest division to provide an innovative pharmacy portal and pharmacy-community data bridge to long term care pharmacies in the USA and Canada. The new division will be branded as InTouchRx (intouchrx.com) and will focus specifically on working with pharmacies to improve their engagement with senior living communities, increase their transparency and provide a consolidated collection of all pharmacy-community data. The irony, the irony – everyone saw Europe’s data privacy initiatives. Why has this taken so long here? In a word – lobbying. The congressional hearing droned on, and Mark Zuckerberg tried so hard not to sound condescending towards his techno-light questioners about the so-called ‘Facebook Scandal.’ Which could have been the Google scandal, the Twitter scandal, or eve Amazon -- consolidation of industry players and using the data to sell them (or make ads ‘more effective’) or as with Amazon, sell them more stuff. The real scandal? Not the Cambridge Analytica role, which didn’t exactly sneak around in the long-time and paid analysis of Facebook data. The real scandal might be last year's $30 million of lobbying spent to avoid controls (and user protection) actions like those considered and in process in Europe. Innovators deploy voice-first solutions designed specifically for older adults.